Home Treatment for Onychomycosis: Can Vicks Vaporub Really Cure Toenail Fungus? May 23, 2014 /in Toenail Fungus Treatments /by Jenn F.
Blogger Olga Boyko recalls the story of the summer she used Vicks VapoRub to cure the toenail fungus that afflicted her big toe. She showered and scrubbed the nail, then applied the medication, put a cotton sock over it, and went to sleep. In the morning after her shower, she tried to apply the medication again, but the infected portion of the nail started to peel off. “To this day, it’s the nastiest thing that has ever happened to me,” she wrote. She reportedly applied the VapoRub anyway and continued to do so — twice a day — for several months. Despite the malady, she wore open-toe shoes to prevent fungus from taking hold inside damp, dark shoes. After three or four months, a healthy nail grew back. The internet is full of interesting stories like this one, alleging that Vicks VapoRub is an effective home remedy for toenail fungus. But is there any evidence backing this solution for a medical condition that is notoriously chronic and hard-to-treat? Can this cheap, over-the-counter medication cure toenail fungus? Natural Healing: Could Mediterranean Bath Salts Work to Cure Toenail Fungus? February 27, 2014 /0 Comments/in Toenail Fungus Treatments /by Jenn F.
The SteriShoe UV shoe sanitizer was created with toenail fungus sufferers in mind. Our product’s founder understands, first hand, what it’s like to spend countless days and dollars fighting the unsightly infection. Foot fungus is particularly difficult to eliminate because of its mode for reproduction. Teeny, tiny spores have a way of sloughing off the feet and contaminating everything from towels and bed sheets, to socks and shoes. So even if you’ve managed to successfully kill the fungus, you risk re-contamination if you’re putting your feet back into the same old infected shoes again. That’s why, no matter which treatment you choose, you’re best investing in our Ultra-Violet shoe sanitizer to kill off the residual fungus in all your footwear. If you’re looking for other natural remedies for foot fungus, you may also want to consider Mediterranean bath salts. Mediterranean bath salts have been proposed as a DIY method of fighting toenail fungus. February 21, 2014 /0 Comments/in Toenail Fungus Treatments /by Jenn F.
“It’s not exactly a life-threatening condition, but toenail fungus, known in the medical community as onychomycosis, can be cosmetically unattractive and painful,” reports Anahad O’Connor, a science feature writer for the NY Times. Several years back, he investigated thyme as a possible holistic toenail fungus cure. We’re naturally skeptical of these claims because toenail fungus is notoriously difficult and expensive to treat, but in some cases there is some scientific basis behind these folk remedies. 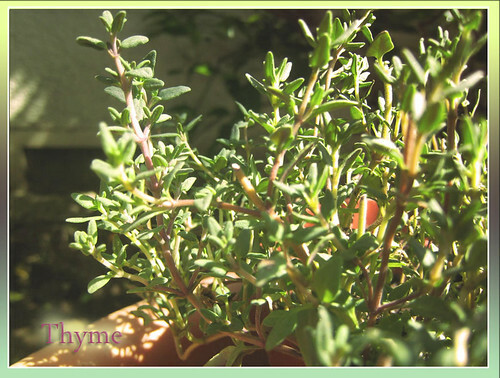 The thyme plant can be a source of antimicrobial goodness, studies suggest. November 22, 2013 /2 Comments/in Toenail Fungus Treatments /by Jenn F.
These days, there seems to be a drug for everything. These “quick fixes” can be enticing, especially when compared to “lovingly” applying a topical solution to each yellowed, crusty toenail… several times a day, every single day, for months on end. 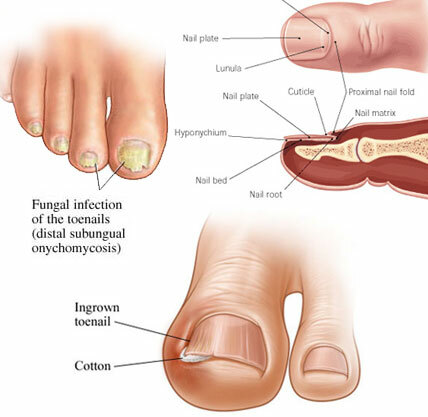 Everyone can agree that getting up close and personal with toenail fungus is far from enjoyable. However, oral drug treatments for toenail fungus are not easy on the body. After all, we are comprised of a micro-flora of different bacteria, yeast, and fungus — some friend, some foe. So how does the body know which types to fight and which to allow? The matter becomes further complicated when you throw a blanket antifungal into the mix. 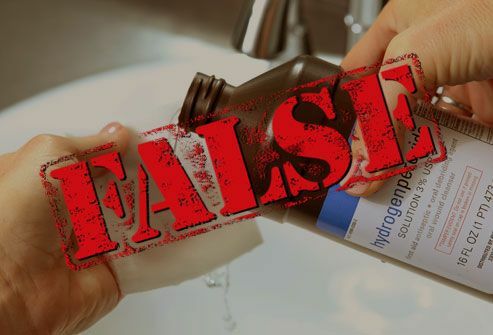 Will Hydrogen Peroxide Kill Foot Fungus? October 18, 2013 /1 Comment/in Toenail Fungus Treatments /by Jenn F.
Hydrogen peroxide is a simple chemical compound comprised of two hydrogen molecules and two oxygen molecules. The concentration for health purposes is 3-5%, with the vast majority of the solution containing just water. This pharmaceutical grade solution contains various stabilizers, so it should not be ingested, but it can be used topically to treat a variety of ailments. Other mixtures for home use may contain up to 10% concentration to be used as a bleach, tooth scrub, or ear wax remover. Concentrations as high as 30% may be used industrially for bleaching paper, rocket fuel, or producing foam rubber. Is Tea Tree Oil A Good Remedy For Toenail Fungus? August 2, 2013 /3 Comments/in Toenail Fungus Treatments /by Jenn F.
Will The New Beer Foot Baths at Four Seasons Cure My Foot Fungus? May 31, 2013 /0 Comments/in Toenail Fungus Treatments /by Jenn F.
Is beer a good enough reason to plan your travel around it this summer? We don’t know about that, but there are some enticing opportunities for self-professed craft beer aficionados. For instance, New Belgium Brewery is running a “Tour de Fat: Beer, Bikes & Bemusement” festival in cities like Atlanta, Denver, San Diego and Minneapolis. Brooklyn Brewery from New York and Deschutes from Oregon are also making the rounds with traveling beer events. Yet, what really caught our eye was The Spa at Four Seasons in Vail, Colorado — which is offering a new “Amber Ale Foot Soak” on their spa menu. Is this supposed to be a treatment for foot fungus? What Is A UV Shoe Sanitizer? May 3, 2013 /0 Comments/in Athlete's Foot, Diabetes, Shoe Odor, Toenail Fungus, Toenail Fungus Treatments /by Jenn F.
The general consensus among podiatrists is that it seems futile to treat a patient’s feet, without simultaneously doing something about his shoes. The dark, moist environment surrounding the feet can serve as potential reservoirs of reinfection. Shoe Care Innovations Inc. of Redwood City, California is the manufacturer behind breakthrough technology that helps people in keeping their shoes sanitary to limit exposure to dangerous microbes. April 19, 2013 /5 Comments/in Toenail Fungus Treatments /by Jenn F.
One of the shames in our health care system is that the FDA only regulates for general safety. They’ll make sure pharmaceutical companies aren’t claiming to cure cancer or make us able to walk on water, but there is no investigation into the true efficacy of the products on drug store shelves. Unfortunately, foot cream for nail fungus is one of the scams. Home Remedies For Fungus Nails: Does Lysol Work? April 12, 2013 /6 Comments/in Toenail Fungus Treatments /by Jenn F.
We read a lot of fanciful claims on the Internet about home remedies for fungus nails. We would never recommend putting Vic’s Vaporub on your feet — unless you want to feel intolerable burning pain on a sensitive part of the body. Nor would we ever recommend a useless cornmeal foot soak or using white iodine. Yet, we have seen some doctors recommended LYSOL spray as a viable way of killing bacteria in shoes. We have several problems with this advice. For One, Lysol Is Full Of Toxic Chemicals! The U.S. Department of Health and Human Services issues this warning about Lysol: “Hazard to humans and domestic animals. Causes eye irritation. Do not spray in eyes, on skin or on clothing…. May cause skin irritation upon prolonged or repeated contact…. If on skin, wash with plenty of soap and water. If irritation occurs or persists, get medical attention.” While it is only rated as a “slight risk,” it’s clearly stated that these chemicals should not be put on the skin.